OpenOceans Global joined a cast of dignitaries in December 2012 at the Eye on Earth Summit, an international environmental data conference that is part of the Abu Dhabi Global Environmental Data Initiative (AGEDI). Launched by the United Arab Emirates government and Sheikh Khalifa Bin Zayed Al Nahyan in 2002, AGEDI aims to address the impact of missing or weak environmental data on emerging economies’ efforts to achieve sustainable development. The Environment Agency – Abu Dhabi (EAD) champions AGEDI locally and the United Nations Environment Programme (UNEP) champions it regionally and globally. OpenOceans Global was invited to attend because the organization’s innovative and collaborative approach to aggregating and creatively visualizing ocean data is consistent with the AGEDI's goals. According to AGEDI, "the lack of quality, quantifiable environmental data has proven a major hindrance to the global process of achieving sustainable development. The result is that throughout the world, socio-economic and environmental decision makers are being challenged to make vital decisions without the necessary data." The summit was convened by Razan Khalifa al Mubarak (left), the secretary general of AED. The meeting was designed to bring together participants from around the world who have worked to "bring down the barriers that prevent all of us from having access to the knowledge we need to safeguard our planet's future." Al Mubarak's co-chair was Achim Steiner, the executive director of the United Nations Environment Program (left). Former President Bill Clinton (left) was the keynote speaker. He encouraged participants to recognize that "the fundamental decision we have to make is a choice between shared prosperity and our own short term interests." The former president said that "we are all going to be affected by things that happen somewhere else." ESRI President Jack Dangermond (left) presented his vision for a world that can share data and gain insight into how resources can be managed into the future. Mr. Dangermond showed how the integration of data from multiple sources can be shared, visualized and analyzed in a way that can benefit researchers, decision-makers and the general public around the planet. ESRI's founder has long had an interest in the ocean and is developing a strong ocean initiative within ESRI. One of the most respected dignitaries at the conference was Dr. Jane Goodall (shown at left with OpenOceans VP Mohsen Mortada). Dr. Goodall gained prominence for her groundbreaking discoveries about chimpanzees and stressed the importance of helping the people in the area where she has worked. "How can we protect the chimpanzees if the people around them are suffering," she said. Dr. Goodall also has developed an environmental educational program for children called Roots and Shoots through her Jane Goodall Institute. Of course the ocean was part of the summit, too, and ocean pioneer Dr. Sylvia Earle (at left with OpenOceans founder Carl Nettleton) was in attendance to stress the importance of the ocean. Known affectionately by many as "Her Deepness," Earle understands the factors that gave rise to OpenOceans Global. "This blue planet must be explored and understood because this ocean keeps us alive," she said. Earle said the ocean is where most of the oxygen in the atmosphere comes from and where most of the carbon goes. "With every breath you take you are connected with the ocean," she said. Earle's Mission Blue organization is focused on creating marine protected areas. The speakers above and many other experts provided a deep overview of the challenges and opportunities in the field of environmental data and data presentation. In addition to four days of plenary sessions, the conference included a number of working groups. These groups focused on developing strategies by topic area for improving collaboration on the data sharing necessary to understand the planet's dynamics. Participants recognized that the future of the planet must be planned in an environmentally sound way even as human societal and economic benefits are maintained. We've added three new marine aquarium web cam links to our site, all from the Aquarium of the Pacific and installed just days ago. In addition we have a link to theSmithsonian Marine Ecosystems Exhibit in Fort Pierce in the Aquariums section. 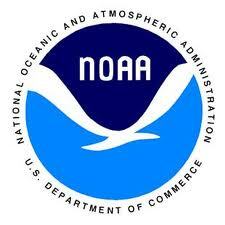 Don't miss the front page link to the NOAA Education Resources page. What Links Would You Add to the OpenOceans Portal? Much more content will be added and a number of enhancements are on the drawing board, but the OpenOceans Global web site is looking for links that you think will be valuable to teachers, students and the general public. Please send links and other ideas to info@openoceans.org. 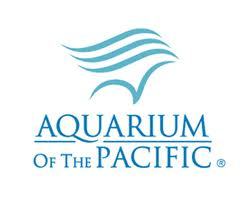 The National Oceanic and Atmospheric Administration (NOAA) is a world-class data and marine education organization, the Aquarium of the Pacific is a world-class non-profit education organization, and MIT's Science Impact Collaborative is a world-class joint-fact-finding/conflict resolution center. Research, education, and bringing people and organization's together are the most important items on OpenOceans Global's agenda, and we have three world-class partners to help us. On Thursday, February 9, the San Diego Regional Water Quality Control Board honored OpenOceans Global for its work with the Tijuana River Vallery Recovery Team. OpenOceans Global founder Carl Nettleton (second from left) co-chaired the 30-agency collaboration for more than three years along with Regional Board Chairman Grant Destache (left) and Executive Officer David Gibson (right). OpenOceans provided facilitation, administration, a web page, e-newsletters and an intelligent mapping process (provided by Gabriela Coverdale, second from right). The Recovery Team has completed a 34-page Recovery Strategy and its steering comittee is organized to move forward with the thinking in that strategy. Sempra Energy Foundation provided a portion of the funding for OpenOceans Global's work through a $50,000 Environmental Champions Award. "We salute and thank the Recovery Team for its efforts, the Regional Board for its leadership, and Sempra Energy for its funding and commitment to the Tijuana River Valley," Nettleton said. In recent months, OpenOceans Global has been fortunate to gain several new advisors who bring us great expertise in the areas of ocean, climate, law, energy, philanthropy,and finance. Please join us in welcoming them to our organization. Linda S. Adams is the founding president of R20-Regions of Climate Action, the chair of the Climate Action Reserve, a past member of the California Ocean Protection Council, and was the first woman to serve as Secretary of the California Environmental Protection Agency. Malin Burnham is vice-chairman of Cushman & Wakefield and is involved with many professional and civic organizations, has chaired a number of major non-profits and has co-founded 14 organizations in his career, most providing direct benefit to San Diego and the nation. Vice Admiral Conrad C. Lautenbacher, Ph.D. (USN ret. ), works on climate, energy, and sustainability initiatives as Vice President, Science Programs, Applied Technology Group. He previously served as Under Secretary of Commerce for Oceans and Atmosphere and as president and CEO of the Consortium for Oceanographic Research and Education. Eleanor Musick is an attorney with Procopio, Cory, Hargreaves & Savitch. Ms. Musick's practice emphasizes patent prosecution, trademark and copyright prosecution; and intellectual property licensing. She works in a number of subject areas, including telecommunications, processing, software, data mining, geophysics, oceanography, and other fields. Dr. Jerry R. Schubel is President/CEO of the Aquarium of the Pacific where he also directs its Marine Conservation Research Institute and Aquatic Forum. He serves on the Coastal America Executive Committee, the Science Advisory Panel of the California Ocean Protection Council, and the NOAA Science Advisory Board. The Aquarium is one of OpenOceans Global's founding partners. Dr. Rob Wilder founded Wildershares, LLC and co-manages the WilderHill Clean Energy Index (ECO), which emphasizes solutions that make both ecological and economic sense. He is a trustee for the Society for Conservation Biology, a member of the Director's Cabinet at Scripps Institution of Oceanography, and the author of "Listening to the Sea,'" a 1998 book that links marine biodiversity to cost-effective energy technologies that prevent pollution." For more information about these and other OpenOceans Global advisors, please click on the Advisory Committee tab at www.openoceans.org. "The secret of life is to have a task, something you devote your entire life to, something you bring everything to, every minute of the day for the rest of your life. And the most important thing is, it must be something you cannot possibly do." This email was sent by OpenOceans Global at P.O. Box 22971, San Diego, CA, 92192-2971, United States.